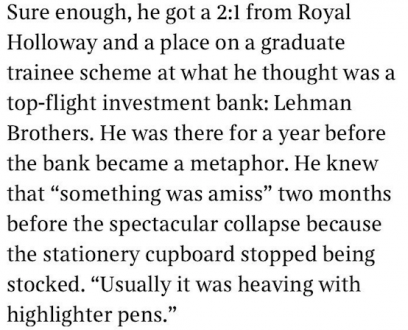 It’s 10 years since Lehman Brothers collapsed, marking the high point of the financial crisis, and what better way to mark the anniversary than this story by former University Challenge contestant, Bobby Seagull. 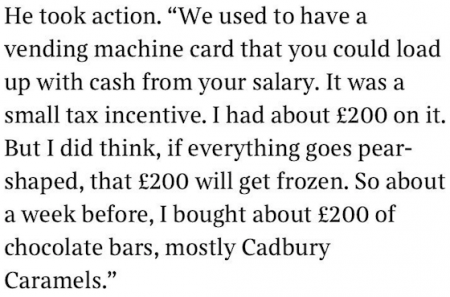 He was a graduate trainee at the bank and Harry Wallop shared this anecdote from an interview the pair did for the Times. That lad will go far. Oh, he’s gone far.